South African President Jacob Zuma and his French counterpart Francois Hollande will head a new UN “High Level Commission on Health, Employment and Economic Growth”. Zuma and Hollande were appointed by the United Nations Secretary General Ban ki-Moon, said UN spokesperson Stephane Dujarric. 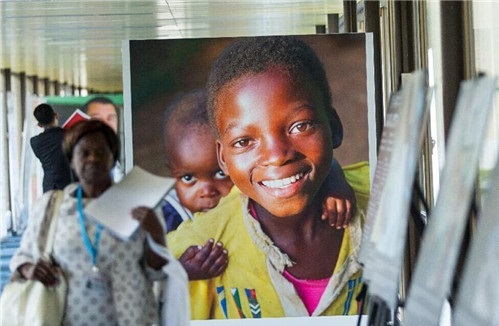 “The commission is established within the framework as a follow on to the General Assembly resolution which recognized that ‘investing in new health workforce employment opportunities will also add broader socio-economic values to the economy and contribute to the implementation to the 2030 sustainable agenda.’ And the resolution requests that the Secretary General explore steps to meet the global shortfall in trained health workers. So that’s exactly what this commission will focus on and obviously the Secretary General looks forward to the joint leadership of President Zuma and President Hollande,” Dujarric said. Vice chairs of the new UN commission include WHO Chief Margaret Chan, OECD Secretary General Angel Gurria, and ILO Chief Guy Rider. According to WHO estimates, 45 million job opportunities will be created in the health sector by 2030 but most of these will be in the rich OECD countries. WHO has warned of a shortage of 18 million qualified health professionals in low-and middle-income countries. “This mismatch poses a threat to the stability of health systems and global health security,” said Zuma, adding that the newly-formed UN commission will work towards bridging this gap. WHO said earlier this month that one in five African children lack access to all needed and basic life-saving vaccines. The formal launch of the Commission is slated for 23 March in Lyon, France. A second meeting of the Commission is expected to take place in New York in September this year on the margins of the 71st Session of the UN General Assembly. The Commission is expected to submit its report to the Secretary-General of the United Nations, at the latest, by 31 December 2016. A 2011 WHO fact-file says there is a 36-year gap in life expectancy between countries. A child born in Malawi can expect to live for only 47 years while a child born in Japan could live for as long as 83 years.